Hailed by critics as "an extraordinary pianist who promises to become a legend in this new century," pianist Rachel Kudo has been captivating audiences around the globe with her "stunning virtuosity" and "miracle of flawless technique and expressive versatility" as recitalist, soloist, and chamber musician. Ms. Kudo made her orchestral debut at age sixteen performing Tchaikovsky's First Concerto with the Fort Worth Symphony Orchestra and with the Chicago Symphony Orchestra in Falla's Nights in the Gardens of Spain. She has since appeared as a soloist with the Warsaw Philharmonic in Poland and the RTE National Symphony Orchestra in Ireland, among others. At the age of fourteen, Ms. Kudo made her recital debut at the International Chopin Festival in Duszniki-Zdroj, Poland. Further performances include Chopin's birth house "Zelazowa Wola," Lazienki Park, the Royal Castle in Poland, Salle Cortot in Paris, Musikverein in Vienna, Tel Aviv Museum of Art in Israel, Stradivarius Museum in Cremona, Aspen Music Festival, Dame Myra Hess Memorial Concert Series in Chicago, Strathmore Mansion in Washington D.C., Peter Jay Sharp Theater, Avery Fisher Hall, Alice Tully Hall, and Carnegie Hall's Weill Recital Hall in New York. Ms. Kudo has also made appearances as artist at the Tivoli International Festival in Denmark, Bergen International Festival in Norway, Fazioli Concert Hall in Italy, Nagoya International Youth Music Festival in Japan, Gilmore International Keyboard Festival, and the Joye in Aiken Festival in the United States. Winner of the Gilmore Young Artist Award, Ms. Kudo has also received international recognition as prizewinner in the U.S. National Chopin and Dublin International Piano Competitions. She is recipient of the Salon de Virtuosi Career Grant, I.M.A. Music Award of Japan, a Level I Award at the National Foundation for Advancement in the Arts' Arts Recognition and Talent Search, named a Davidson Fellow Laureate by the Davidson Institute of Talent Development, and three-time recipient of the Rohm Music Foundation Scholarship in Japan. 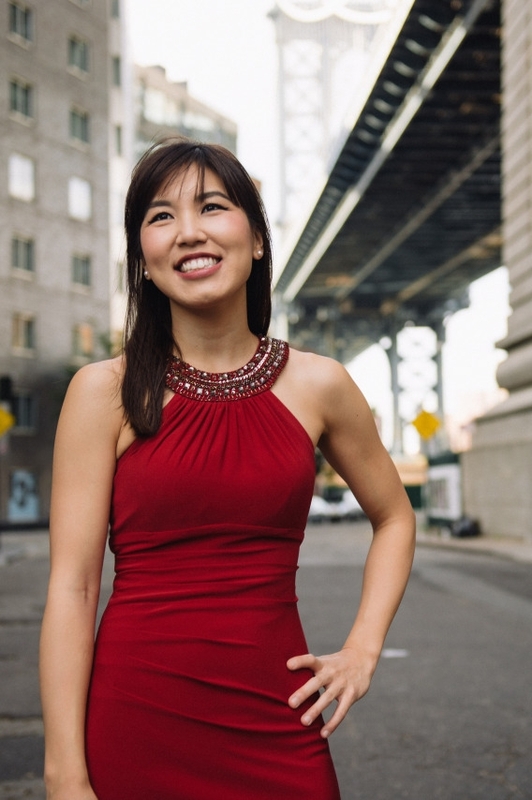 Ms. Kudo graduated from the Juilliard School, where she received the Chopin Prize, Arthur Rubinstein Prize, Ryoichi Sasakawa Young Leaders Fellowship, Juilliard/Sanders/Tel Aviv Museum Recital Prize, and was two-time winner of the Gina Bachauer International Piano Competition. She has been invited to Carnegie Hall's Professional Training Workshops on two occasions, culminating in masterclasses and concerts at Carnegie Hall, working with pianists Emanuel Ax and Sir Andras Schiff. Born in Washington D.C. to Japanese-Korean parents, Ms. Kudo began studying piano at the age of four with Emilio del Rosario at the Music Institute of Chicago. She currently works with Leon Fleisher, and has studied with Kum-Sing Lee, Yoheved Kaplinsky, Joseph Kalichstein, Richard Goode, and Gilbert Kalish.